You’ll need to use your wits to investigate the surroundings, puzzle out clues, and outsmart the monsters before it’s too late! Survive a trek through your neighborhood, unravel the mysteries of the Dead House, and sneak through the mall after hours; only then can you confront Slappy and stop his plans for revenge! 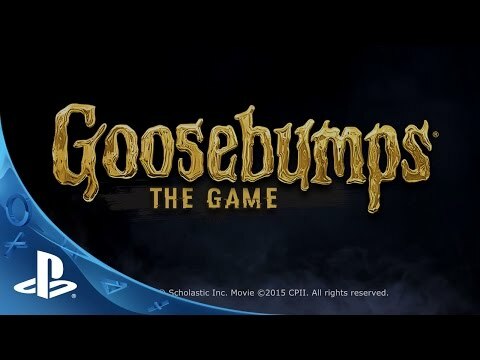 Players beware… you’re in for a scare in the exciting Goosebumps video game, a prequel to the major motion picture in theaters October 16th!